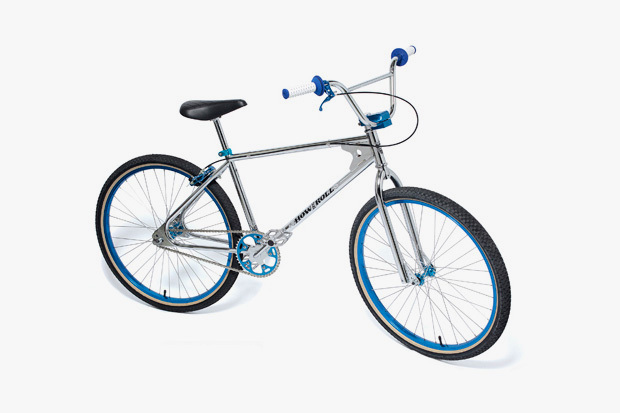 Stussy links up with Shibuya bike experts W-BASE on a new 26” BMX, a reproduction model from the 1970s, of course updated with modern characteristics and construction. The cruiser features an old school look with plenty of attention to detail, including Stussy branding, Oakley B-1B grips and an engraved front end reading “Ride Tough Little Boys.” The bike will see a release on April 7 through W-BASE, with availability via Stussy chapter stores and web shops on April 18, 2011. Retail is set at ¥99,750 (approx. $1,169 USD). Yellow Days Releases Visuals For "How Can I Love You?"